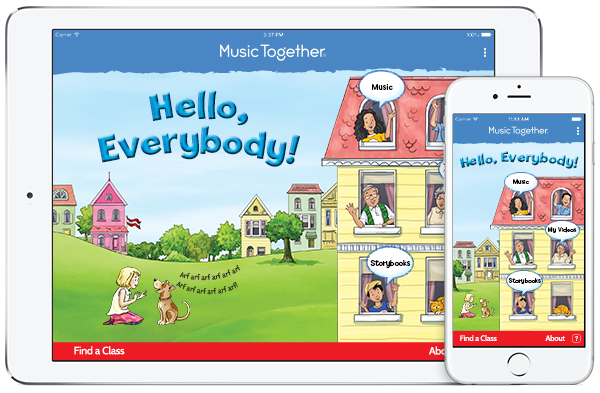 Hello Everybody for both Apple and Android devices makes it fun and easy to enjoy Music Together® with your family. Log in with your Family Music Zone account and use the acess code inside the front cover of your CD booklet to get your Music Together music in the app. Stream the songs—or download them so your family can sing and play along even when you don’t have Internet access. Plus, try some Music Together karaoke and have fun making and sharing your own family music videos! “Being able to access all the collections from one easy place is priceless!"